TIMOTHY was a convert of St. Paul. He was born at Lystra in Asia Minor. His mother was a Jewess, but his father was a pagan; and though Timothy had read the Scriptures from his childhood, he had not been circumcised as a Jew. On the arrival of St. Paul at Lystra the youthful Timothy, with his mother and grandmother, eagerly embraced the faith. Seven years later, when the Apostle again visited the country, the boy had grown into manhood, while his good heart, his austerities and zeal had won the esteem of all around him; and holy men were prophesying great things of the fervent youth. St. Paul at once saw his fitness for the work of an evangelist. Timothy was forthwith ordained, and from that time became the constant and much-beloved fellow-worker of the Apostle. TITUS was a convert from heathenism, a disciple of St. Paul, one of the chosen companions of the Apostles in his journey to the Council of Jerusalem, and his fellow-laborers in many apostolic missions. From the Second Epistle which St. Paul sent by the hand of Titus to the Corinthians we gain an insight into his character and understand the, strong affection which his master bore him. Titus had been commissioned to carry out a twofold office needing much firmness, discretion, and charity. He was to be the bearer of a severe rebuke to the Corinthians, who were giving scandal and were wavering in their faith; and at the same time he was to put their charity to a further test by calling upon them for abundant alms for the church at Jerusalem. St. Paul meanwhile was anxiously awaiting the result. At Troas he writes, “I had no rest in my spirit, because I found not Titus, my brother.” He set sail to Macedonia. Here at last Titus brought the good news. His success had been complete. 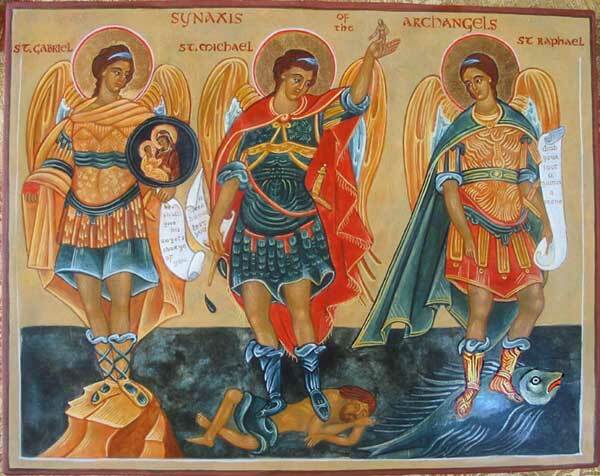 He reported the sorrow, the zeal, the generosity of the Christians, till the Apostle could not contain his joy, and sent back to them his faithful messenger with the letter of comfort from which we have quoted. 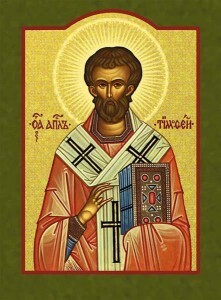 Titus was finally left as a bishop in Crete, and here he, in turn, received the epistle which bears his name, and here at last he died in peace. Reflection.—Saints win their empire over the hearts of men by their wide and affectionate sympathy. This was the characteristic gift of St. Titus, as it was of St. Paul, St-Francis Xavier, and many others.